Cub scouts teach a child to "Do Your Best". Scouts are taught to be respectful to their leaders, parents, and fellow scouts. They learn the Cub Scout Promise and The Law of The Pack. These are the first things that your scout will learn as part of the Bobcat trail. These values are learned by applying them to everyay situations and to different parts of the activities that scouts do. Scouts have a chance to learn different things and do different actvities. Scouts get to camp outdoors. 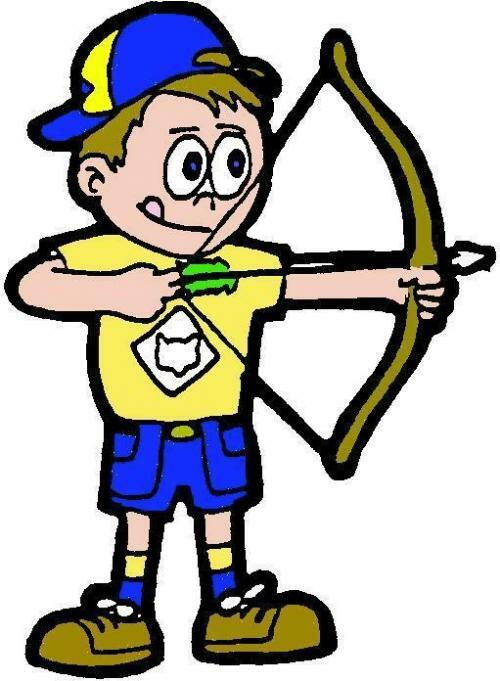 Scouts get a chance to learn basics in archery. 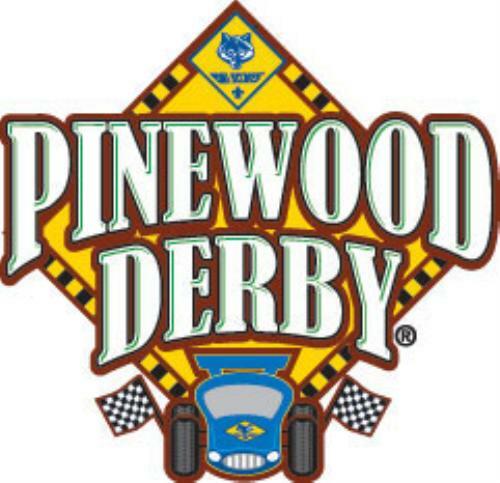 Every year Scouts get a chance to build their own derby car and race it against other scouts. Scouts get an opportunity to support the community through different charities. One well known charity our scouts do is Toys for Tots. 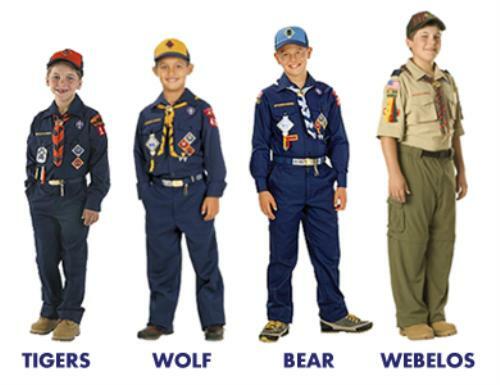 The Cub Scout uniform is an important part of the Cub Scouts. The uniform consists of a cub scout shirt, a cap that shows his rank/group, a neckerchief that matches the cap, and a blue belt with buckle. Also Scouts have the option of wearing a vest or sash that shows their awards and badges that they have earned. Belts are also the place for scouts to show the different loops that they have earned as well. On the advancement trail each scout earns each rank badge. Tigers, Wolves, Bears, Webelos. These are all badges that the scout earns each year by doing different activites. There are other badges and pins that scouts earn while doing different activities. The den leader will explain how each of these badges and pins are earned and the requirements for all of them. Example of Cub Scout Uniforms. Webelos may wear the tan or Blue shirts. Uniforms can be purchased at the Scouting store or online. The Den leader and fellow parents can give you more information about what to buy and where to go. Also, the employees at the scout store are very helpful and will ehlp you find everything you need.